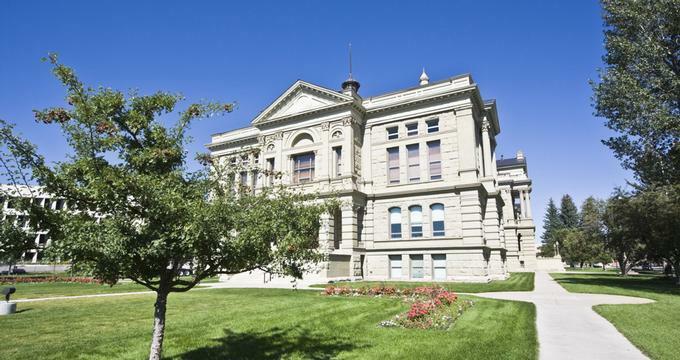 Plan a fun weekend getaway to Cheyenne, the capital of Wyoming, where you can visit historical museums, take a romantic walk through the Cheyenne Botanic Gardens and dine a great restaurants. Best things to do in Cheyenne with kids include the Wyoming State Museum, the Old West Museum, the Terry Bison Ranch, and the Paul Smith Children’s Village. The Wyoming State Museum collects, preserves, and exhibits artifacts relating to the human and natural history of the state. 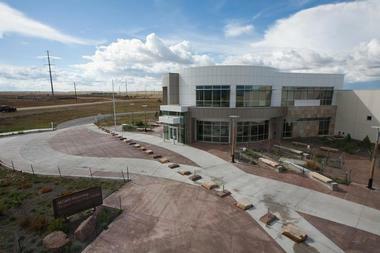 Its permanent exhibits present the flora and fauna of Wyoming, and examine the effects of human presence on the state’s wildlife; the history of Wyoming’s mining industry; objects from every era of Wyoming’s history, and a hands-on room where children can handle historical pieces and dress up in costumes. 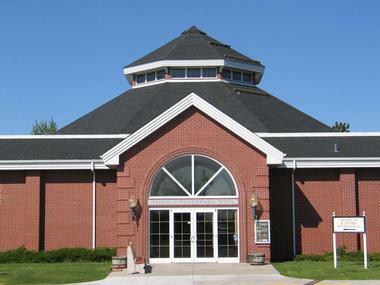 The museum is extremely engaged in education, and offers school tours, family programs such as scavenger hunts and a Junior Historian program, and a lecture series for adults. Discovery Trunks can be sent to Wyoming classrooms so that school children have an opportunity to interact with historical artifacts about a variety of subjects related to Wyoming’s history. The Nelson Museum of the West exhibits the broad spectrum of western culture throughout its human history, covering cowboys, Native Americans, and the United States Military. Including a 4,000 book library, the museum has over 14,000 items in its important collection. There are displays of art by the Pueblo and Plains Indians, utilitarian objects of coastal Indians and Inuit, fine art by the west’s most famous artists, and a Mexican exhibit showing decorative sombreros, clothing, and silver-mounted spurs and saddles. There is a room decorated with the artifacts of a Wyoming cattle baron, and an entire western sherrif’s office from the 1920s, along with information about criminals that were apprehended by Sherrif George Carroll. The Old West Museum traces and educates guests about the history and culture of Cheyenne’s annual Frontier Days. It houses one of the United States’ largest collection of carriages, a fine collection of Western American art, as well as historic clothing and artifacts. The museum has a research facility for use by scholars of the American West, an interactive children’s gallery where kids can learn to rope cattle and paint on hide in a safe environment, and summer camps. The camps are for children aged 5-12, and can be attended by the week or by the day. Advanced Western art camps are geared towards interested 10-14 year olds. School groups are welcome. The Cheyenne Botanic Gardens have diverse collections, landscapes, and plants, and place a high regard on volunteerism, as most of the garden’s maintenance is done by volunteers. The Gardens specifically look for volunteers who are senior citizens, or disabled, or who are at-risk youth, with hopes that they will be affected positively by the therapeutic value of gardening. The Cheyenne Depot, built in 1887, is one of the last great depots remaining from the golden age of train travel, and is representative of the opening of the American West to mechanized travel. This landmark building tells the story of the beginnings of Cheyenne during the building of the Transcontinental Railroad in the 19th century. The Cheyenne Depot houses a renowned model train, and two historic steam engines: The 844 Steam King, which was the last steam engine built for the Union Pacific Railway, and Challenger 3985, which is the largest operating steam engine in the world. The gracious lobby of the museum can be rented for special events, such as weddings, reunions, and lectures. The Terry Bison Ranch is on the Wyoming/Colorado border, and has a herd of fifty massive bison. Visitors to the ranch can take an old-fashioned train into the heart of the bison herd, and buy food to feed them by hand. On the way to the bison herd, visitors will pass by horses, including newborn foals, mules, and donkeys, as well as more exotic animals such as camels, ostriches, and llamas. Horseback rides on the prairie are also available, as are cattle drives that involve herding cows from one grazing area to another while on horseback. 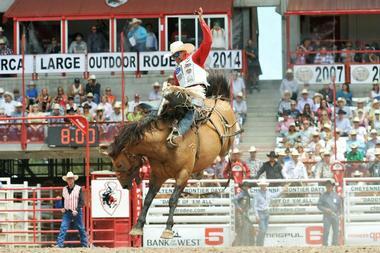 The cattle drives include trail riding, and dinner at the ranch’s excellent restaurant, Senator’s. The ranch’s Kids Corral has a stocked fishing pond for kids to fish in; ranch hands will clean and cook the fish for the family to eat! Situated twelve miles from Cheyenne, the Wyoming Hereford Ranch is the oldest continuously-operated livestock operation in the United States. Its 60,000 acres are home to superior registered beef cattle, and is a lovely destination for a country drive. The ranch headquarters doubles as a visitor center, and locals and tourists may enjoy reading about the history of this ranch, which dates back to 1883. The ranch headquarters has an extensive library of books about farming and Hereford breeding, which visitors are welcome to peruse. Wyoming Hereford Ranch is favored by birders, as over eighty species of birds make their homes along Crow Creek, and in the ranch’s cottonwood, willow, pine, and spruce trees. The ranch is home to kestrels, wigeons, kingfishers, buffleheads, cormorants, herons, teals, and many other species of common and western birds. It is a lesser known fact that women played a huge role in the settlement of the American West, and this museum seeks to educate the public about the important heritage of western women. Women branded, rode, cooked, and raised families in wild and often primitive conditions, and some women even performed in rodeos. 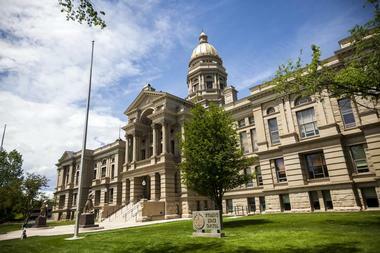 Wyoming granted women voting and property rights fifty years before any other American state, and was the first state to appoint a female judge. The museum has excellent exhibits of photographs, costumes, and tools relating to women in the west, is staffed with knowledgeable volunteer tour guides, and the emporium is full of western memorabilia including clothing, antiques and collectibles, home décor, and books. The Bit-O-Wyo Ranch is situated 8,000 feet up in the foothills of the Rocky Mountains, and has spectacular views of the surrounding rivers and valleys. Visitors come here to trail ride, to enjoy the dinner show, and to stay overnight in one of the cozy cabins on the property. Trail rides leave twice daily, and take riders onto rocky ridges and through shaded aspen groves. The dinner show includes a cowboy steak dinner, baked beans, and applesauce, and puts on a terrific two-hour musical and comedy show. Cabins sleep four, and have wide porches from which to admire the sweeping views. Overnight guests are welcome to hike and fish on the property, or learn how to use a bow and arrow. The excellent children’s summer camp, WindRiders, is focused on empowering youth, and includes many outdoor activities such as trail riding. Curt Gowdy State Park is a public recreation area located 24 miles from Cheyenne, halfway to Laramie. Set in the rolling foothills of the Laramie Mountains, the park has steep granite formations and three reservoirs. Once a stopping area for the bison hunters of the Comanche, Crow, Pawnee, and Shoshone natives, the area is now an excellent resource for lovers of the outdoors. Thirty-five miles of trails attract hikers, cyclists, and horseback riders, who often encounter the white-tailed and mule deer who live in the park. The reservoirs are stocked, and have excellent fishing; rainbow trout and Kokanee salmon are the main catch. The reservoirs are also used for boating and canoeing, and camping is available. The park has an especially large archery range which can be reserved for private use. The beautifully-restored Governors’ Mansion in Cheyenne was built in 1904, fourteen years after Wyoming achieved statehood in 1890. Designed to be a gracious, comfortable home, it was built in Colonial Revival-style, and is a two and a half story house with a full basement and a separate carriage house. It was used by state governors from 1905-1976, and is now a historic house museum. The Governors’ Mansion is wheelchair accessible, and guided group tours are available by appointment. Rooms are decorated in the style of several different periods, with music of each era playing in the various rooms. A trip highlight is the fallout shelter, built during the Cold War era. 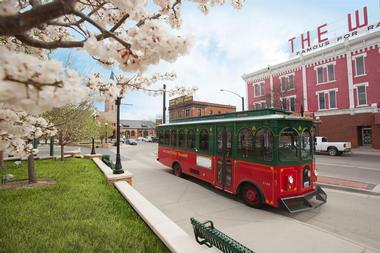 The Cheyenne Street Railway Trolley uses 1920s era buses to offer ninety minute tours of the historic district of Cheyenne. All tours are narrated and start at the Cheyenne Depot, traveling in a loop to the Nelson Museum of the West, the Wyoming State Museum, the Wyoming State Capitol, the Botanic Gardens, the Cheyenne Frontier Days Old West Museum, and the Historic Governors’ Mansion. Riders can hop off to visit any of these attractions, and get on the next trolley which passes by in ninety minutes. On summer weekends, for no extra charge, the tour stops for thirty minutes at the Cheyenne Frontier Days Old West Museum, making the tour two hours long. It’s a great way to get acquainted with the historic sights of Cheyenne. To raise money for the Cheyenne Depot Museum, local businesses sponsored the painting of nineteen eight-foot high cowboy boots. The project was named “These Boots Were Made for Talking,” and local artists involved in this endeavor were asked to create the story that the boot would tell if it could talk. Now serving as lovely decorations throughout downtown Cheyenne, the boots are terrific photo stops, and a wonderful way to share the work of Cheyenne artists with the public. A brochure detailing boot locations is available in the Cheyenne Depot, and a cell phone audio tour is available for each boot, telling the story that the artists wished to convey. During the world wars of the 20th century, hundreds of thousands of men traveled in train boxcars to and from the battlefields of Europe. Unventilated and without seats, forty men were squeezed into each car, which had no toilets or provisions for food and drink. Many lasting memories of the war involve these train rides. In 1948, the United States sent 700 boxcars full of supplies to the poor and hungry of France, and in 1949, the French people filled 49 boxcars with exquisite gifts to the United States, and one was sent to each state. Wyoming’s boxcar is now situated in the parking lot of an American Legion branch, under a shelter, and lovingly painted, a memorial of suffering and international friendship. A sign is posted to aid visitors, and some of the contents of the car can be seen at the Wyoming State Museum. Wyoming’s supercomputer is one of the fastest computers in the world. It tackles complex equations that would ordinarily take a great deal of time to solve, by breaking down each equation into smaller components and using parallel processors to work on each component at the same time. This computer is dedicated to studying Earth’s atmospheric system. In the Visitor Center, groups or individuals may take self-guided tours to learn about topics such as extreme weather, supercomputing, energy, fire, water in the West, and climate science. Field trips for schools, clubs, camps, and home school groups can be accommodated, and the museum’s interactive science exhibits will be popular with all visitors. An ICBM is an Intercontinental Ballistic Missile, usually carrying a nuclear warhead, capable of traveling a minimum of 5,500 miles from a land base. 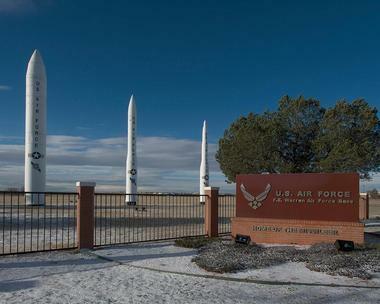 Warren Air Force Base, three miles east of Cheyenne, is one of only three sites in the United States to be a strategic missile base and to have ICBMs. The ICBM at Warren AFB is an LGM-30G Minuteman III. 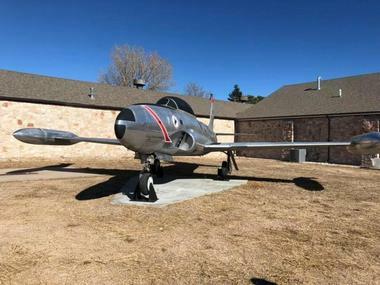 The AFB Museum has exhibits relating to the history of missiles on its first floor, while the second floor is dedicated to a retrospective of the lives of men and women who have served at this base. Peopld wishing to visit the museum must contact the base in advance with sufficient notice so that they may undergo security clearance. 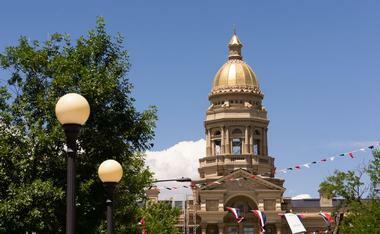 Walking tours of the boom town of Cheyenne begin at the Historic Depot, and are self-guided. Brochures to guide visitors around town are available at the Visitor Center of the Depot; there are three separate tour lengths. The shortest tour, at .7 miles, takes visitors around the immediate downtown historic district. The 1.3 mile tour includes the downtown historic district and the beautiful homes of the Rainsford area of town. The longest walking tour is 1.7 miles, and includes the downtown historic district, the Rainsford area, and the Capitol district of Cheyenne. The brochure notes historic buildings and events that encompass the founding of the town and the present day city.